At school and on the internet, kids face unprecedented bullying. It’s time we stepped in to protect the weakest among us. 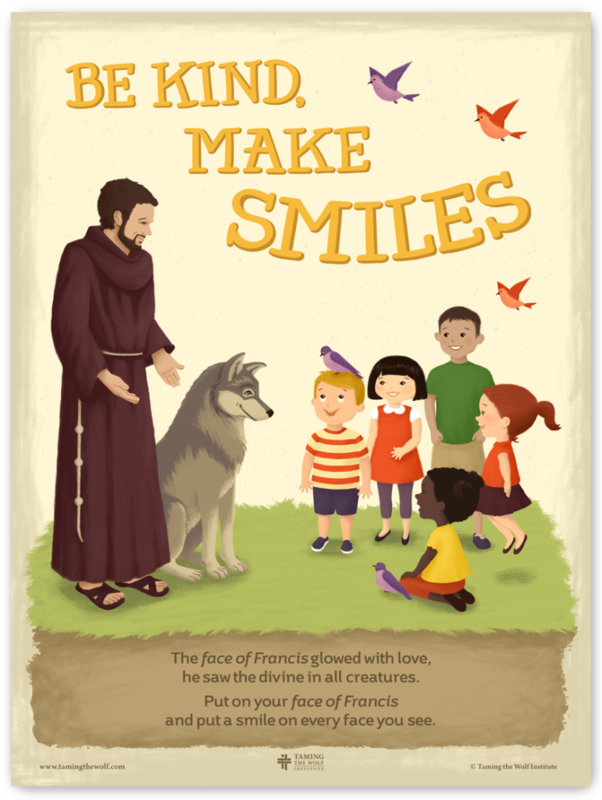 Taming the Wolf Institute plans to tackle classroom and schoolyard bullying by placing at least one St. Francis anti-bullying poster in each of the 57 Catholic primary schools in the Archdiocese of Los Angeles. Saint Francis of Assisi saw that every human being was made in the image and likeness of God. He therefore believed every human being deserved respect. Inspired by Francis, we believe that the end to bullying starts by creating a culture of respect. It starts by encouraging students and teachers to see the Divine in the other. We know that no poster and no program will solve the problem of bullying, but we also know that we all need to play our part in creating a culture that values each human being, particularly each child. By adopting a Franciscan model, we are doing our part to create an authentically Catholic approach to the problem of bullying.